'Europe needs a real army' according to Emmanuel Macron in a candid interview with French radio station Europe 1 on Tuesday. The French President explained he was concerned about Europe’s security after the United States decision to disband the 30-year-old nuclear non-proliferation treaty with Russia. There has been talk regarding the building of an EU army for some time, but as yet nothing has materialized. In recent year various politicians have expressed skepticism about the idea. Sputnik spoke with MEP David Coburn, and with Dr James Corum from the University of Salford, for more insight on the issue. Sputnik: Will we see a European army in the near future? David Coburn: No I think what we need is what we've always had which is NATO. We have the British, the Germans, most of the Europeans and of course it's an alliance which has worked very well since the war. It hasn't been the European which has protected us from communism and fascism — it has been NATO — that's the only credible force. The French are just as usual trying to dominate Europe and they're not capable. The French army is not capable of doing anything, they seem to want to use British aircraft carriers because they don't have anything of their own that seems to work. It's all about dragging Britain and the rest of Europe into an anti-American stance because they do not agree with American foreign policy and they never have. Sputnik: Does Europe need an army of its own? James Corum: They've been talking about a European army since long before I was born and it's gotten nowhere for a few very simple reasons. First of all the Europeans themselves have never been able to agree on basic defence issues — on equipment, doctrine, policy, deployment, the politics, nothing. The Europeans are incapable. The Europeans already have a very excellent system and its called NATO. And NATO only works, and it works well under American leadership. The Europeans, if left, to their own devices cannot come up with a strategy. Sputnik: Given the fact that Europe has distanced itself somewhat from the US since Trump came to power, perhaps we will see Macron's idea welcomed in a way it hasn't been before? James Corum: No because it's utterly impractical. It will require taking really, really hard decisions and gutting existing military infrastructure to create a completely new cobbled together farce and something that is guaranteed not to work. I'm old enough to know that Europe has gone through lots of crisis with the Americans. There was Vietnam and there was the issue of detente — the Europeans wanting to go soft on detente and the Americans wanting to go hard on it. There have always been big differences between the Europeans and the Americans. And all of these have been overcome. And there was a lot of political blather, Trump turns out to be much more pro-NATO than Obama in the realities of NATO. So I have all my lifetime listened to the European blather, and yes there are all these issues and problems. Then again I have served in NATO, I have 28 years military service and I have worked with the European armed forces for decades. So I know how the reality works. 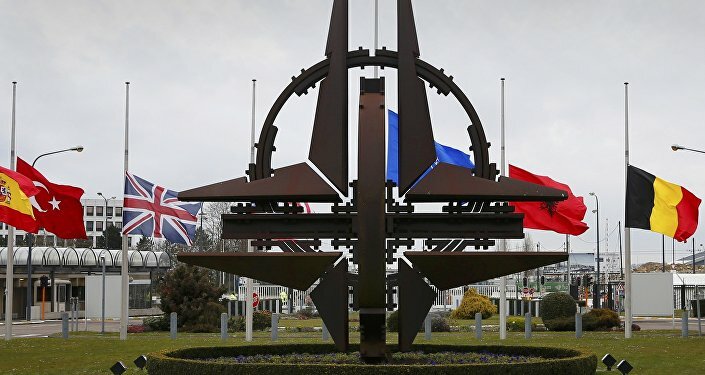 The politicians have their ideas but when it comes to reality the military professionals understand what is needed and they know that NATO for all its good and bad points works quite well. And we're looking at a completely untried system created by people who know next to nothing about actual military operations. You can't take this level of ignorance and apply it and come up with an effective strategy — it won't work.